The way he fits in the circle of the track. The devotion to these wheeled toys. Cute! Margo got a small Thomas set for Christmas and she LOVES it, too! 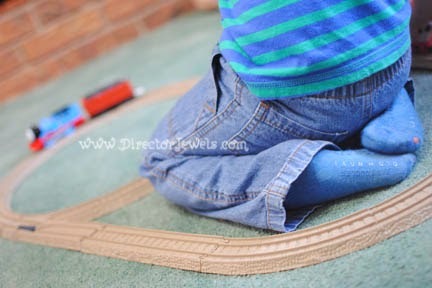 I have a little boy who sits inside his train track too - very precious!